Are you preparing to go back to school at home? Be sure to bookmark these 20 homeschooling websites. Many of these sites offer not only homeschool resources but plenty of learning help for all kids. From free lessons to educational videos, experiments, games, and activities, these 20 sites provide some amazing resources for any family interested in teaching kids at home. Whether you’re a full-time homeschooling family, or you just want to supplement your child’s education, there’s something on this list for everyone. This site lets you build a lesson around any TED talk, TED-Ed resource, or YouTube video. You can also find and use existing lessons on a variety of topics. A great resource for any teacher, homeschooler, parent, or student. A must-follow blog for homeschoolers who want to keep it simple, Jamie of Simple Homeschool shares reviews, giveaways, and articles on curriculum and other topics as well as inspiration and encouragement for homeschooling families. This subscription site promises to make learning to read fun with games, songs, and engaging rewards as well as a series of mobile apps. It’s a favorite of many parents with kids aged three and up. Khan Academy offers free online lessons and interactive exercises on just about every possible topic. 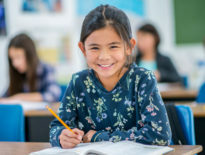 These lessons can be a great resource for students and parents, whether you work through an entire subject, or just supplement with videos to get help with a tricky math challenge or other subject. The website for this popular San Francisco children’s science center features an impressive selection of free activities, videos, printables, and interactive online resources on a variety of math and science topics. The NASA website’s For Students section includes a great free catalog of articles, activities, videos, and games for students in grades K–12 on topics related to STEM, aeronautics, and space exploration. With more than 45,000 free eBooks, including a large collection of classic children’s literature, Project Gutenberg is a fantastic resource for growing your home library on a budget. This free language app is available for iPhone, Android, and the web and offers fun and engaging lessons for a variety of languages, including Spanish, French, German, Portuguese, Italian, and English. Duolingo is a great option for homeschooling parents who want their kids to learn a new language but need a more affordable option than tutoring or language classes. With engaging videos of experiments and science fair projects, as well as detailed printable instructions, and in some cases free lesson plans, this site is a a great source of inspiration and instructions for cool science experiments to do at home or in the classroom. Articles on getting started, curriculum reviews, printable lessons, and links to local support groups make this site a great resource, especially for families who are new to homeschooling. A nonprofit organization dedicated to math achievement, XtraMath features free math videos, lessons, and activities as well as progress reports and resources for teachers and parents. The site is a valuable resource both for homework help and more in-depth lessons. This blog from the New York Times (NYT) features free standards-aligned daily lessons on civics, social studies, history, and other topics related to current news and events. Quizzes, activities, and a student version of the NYT crossword offer more opportunities for learning in the classroom or at home. With more than 3,000 science and math activities, How to Smile is an award-winning, free resource for teachers and parents. The high-quality, hands-on math and science activities are particularly intended for students in “out-of-school learning environments” such as after-school programs, zoos and museums, and homeschoolers. The writers at The Activity Mom are all former classroom teachers who now focus their attention on teaching their own kids and sharing resources and educational activities with others. 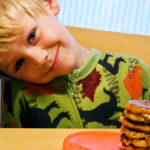 Their blog is a great resource for parents looking for fun and educational activities, especially for toddlers, preschoolers, and elementary age students. This free web-based platform offers thousands of free, standards-aligned games, videos, and interactive activities in all K–12 subjects. Build classes and assignments and monitor progress, or use the site to encourage learning after school. Discovery Education offers free resources for parents, teachers, and students, including lesson plans, homework help, videos, and more. BrainPOP is a subscription site, but many families—both homeschooling and those with kids in traditional school—find the quality of the site to be worth the yearly fee. Engaging animated movies, quizzes, and educational games in every subject, as well as mobile access, are offered starting at $99 a year. 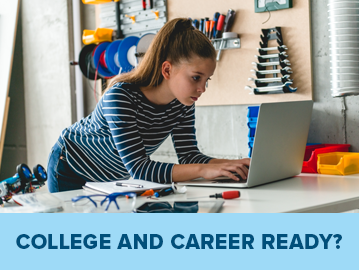 MOOCs (Massive Open Online Courses) such as those offered by Coursera and edX can be a great way for high school students and advanced learners to challenge themselves with college-level coursework. Courses from world-class universities such as Harvard, Yale, and MIT are open to anyone, anywhere, f0r free. 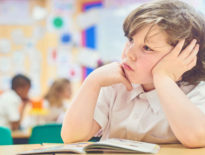 This site offers articles, curriculum reviews, and other learning resources for homeschooling kids with autism, ADHD, learning disorders, and other special needs. 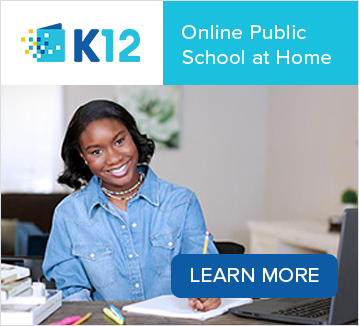 K12 offers independent and teacher-led courses for homeschoolers, plus supplemental learning programs such as Embark for preschoolers, in addition to offering public and private online schooling options. For a closer look at K12, visit Learning Liftoff’s Learning Games section, which features sample lessons from K12’s curriculum and learning programs. And visit K12.com to learn about the differences between online learning and traditional homeschooling. What are some of your favorite homeschooling websites? Tell us your recommendations in the comments below.